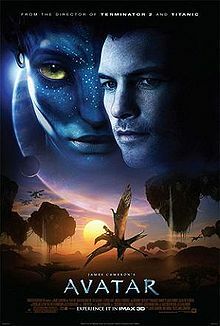 If you haven't seen Avatar yet, I have to assume you've been in a coma or on the International Space Station (although, I'll bet they've seen it up there). The movie has broken box-office records all over the place, and it's gearing up for a limited second run in IMAX 3-D and regular 3-D theaters starting this Friday. (Check your local movie theater listings for details.) This time around, you can expect the story you know and love, as well as new scenes and additional, extended footage. I had the pleasure of speaking with CCH Pounder (pictured left, photo credit Geneva Morgan) about her role in the blockbuster smash: She played Mo'at, the mother of Neytiri and also the spiritual leader of Omaticaya clan of Pandora. Celebrity Extra: When you first read the part of Mo'at, what did you think of her as a character and did you immediately connect with her? 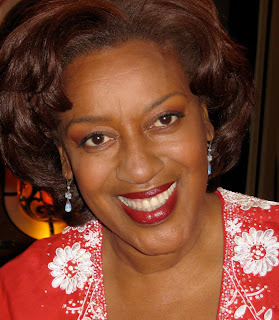 CCH Pounder: The funny thing is that I hadn’t read anything because it was so top secret so that when we gathered together, we had a false script. We did lots of improv just for the pretending to speak a different language. So immediately I thought, “This is going to be very interesting here.” And I was thinking, “Oh my God, I’m probably going to have to learn Russian or something.” But very quickly I realized they were going to create a language for the film. And I thought, “Create a language? Why can’t we just say uka laka a gaga?” That sounds like a language. And here they got this professor who was going to create a language from scratch with syntax and adverbs and adjectives. I was absolutely blown away at the type of detail that I was going to enter into. From the very beginning, that was the excitement. Then the actual role appeared and we were official — even though you couldn’t say the word Avatar, it was such a hush-hush project. When we actually started to do the work, it was really exciting to play a sort of Shaman queen, who very much had an equal amount of power over her husband in a specific area. I thought that was kind of a wonderful thing. Obviously my husband, Eytukan, was so much like the warrior man if need be, calling the troops together, keeping the enemy or the strangers or aliens away from territories. That was sort of his command. Mo’at (pictured, credit Twentieth Century Fox) had this spiritual end of it that would investigate and inspect what these people might be like if they happen to come upon their land, which I thought was fairly marvelous. CE: It’s wonderful that both the men and women in the Na’vi clan have an important role to play. CCH: It also made something work for me in a funny way that we don’t have as earthlings, in that when you’re in that kind of community, everyone has a duty, everyone needs to know how to fight, how to swim, how to survive if you’re lost. It had that feeling of we all have these things we have to do. So when you take a look at other countries and think, “Oh wow. As a woman I’m not allowed to read. I’m not allowed to learn.” Two places, kitchen and bed. And maybe that’s why those countries are lacking in advancement. CE: What was the filming process like? Did you do all your stuff with a green screen? CCH: There was no green screen; there was a giant gray box. Those of us in the case, for the most part, everyone seems to have come from the theater, or from a dance background for physicality. So the imagination was really important, because you were working in a giant gray box. We were not in any costumes that told you what you look like, although, you could see it immediately on screen. You could see your Avatar come to life. If you moved, it moved. But you were working in the giant gray box; you’re basically wearing a silver suit with a helmet with a camera attached to it. So there is a camera about 5 inches from your face, so it captures all of your expressions. Everything is gray, so when the horses come in, they are covered in gray material. When trees are falling, they are gray columns falling. Obviously they are much lighter weight. You’re playing with foosballs basically, and everything is gray. So, it really required your imagination to run the gamut and really, it was like theater play, which was really great. I think that’s why there was such a large theatrical troop used who knew film as well. CE: Could you have imagined, in your wildest dreams, that Avatar would become the monstrous blockbuster that it is? CCH: I really was blown away. There are a couple of things that made me really happy. Regardless of the fact that this is a fairly familiar story, it’s a story of our journey. It’s about people. So there was a familiarity about the story itself, but what made me really happy was regardless of this magnificent change James Cameron had done and the world that he had created, the story itself was so strong, and I really appreciated that. The story comes through. And while you are watching the story, you get to see this extraordinary life form all around you: flora, fauna, everything out of his imagination and the artists who helped to create them. And I thought, “That was really fantastic!” I remember John Landau (producer with James Cameron) showing me 45 minutes of footage that was incomplete. Your face wasn’t properly filled in; your fingers weren’t quite right. And I was like, “What’s to complete?” I thought it was already there. So a year and a half later, this huge jump that they did was pretty extraordinary. My only regret now is that they’ve done such a good job that people feel we voiced this as opposed to we physically created those characters, spoke those languages, cried those tears, learned how to walk slightly different. All those things we created as actors. 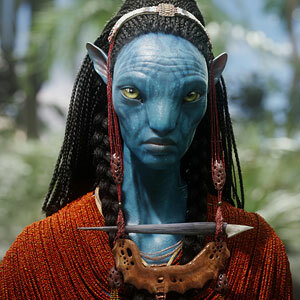 I’m particularly distraught that Zoe Saldana didn’t get acknowledged for her acting as opposed to, “Oh, what great voice acting.” You are attached by wires and plugs, and you have to forget all about that and actually create the character and do the work. I thought it was so wonderful, and I’m just sorry that people didn’t realize that. But it is also testament to what a fantastic job Jim did that people just felt the creatures were created. CE: How was James Cameron to work with? CCH: He is intense, just like the reputation goes. I think he probably knows all the technical parts of filming. He understands cameras and computers and so on. I keep saying actors are really lucky to get to work with Jim Cameron, because you’re with a very innovative man who has his own sense of film-making. So you are going to be working with sort of a genius-level guy, but he doesn’t know how to act, therefore you’re always in the glory spot. We were very lucky. CE: Just all the stuff that went on behind the scenes to make this come to fruition — it’s hard to comprehend all the talent and expertise that went into bringing this world to life! CCH: What’s really difficult is that, even though we worked on it forever — we worked on it for a year and a half — and I walk through the art department and there is some major art work. All I kept saying is: “Oh my gosh! These guys could have exhibitions for days! I wish I could represent one of these artists,” because of the beautiful renderings they have. I’m sure there are going to be a gazillion books come out of this. But when you’re looking on that bare stage, and you’re just creating these characters and you don’t see a complete world, you think, “OK, what we did, I feel it’s good.” And then when, like I said, John Landau showed me that 45 minutes of the movie, it’s skeletal, it’s bare, it’s raw. And I said, “Ooo, but the story is shining through.” So I knew it was going to be good. But the final results, where it went, I was completely clueless. I had no idea that it would do this. I feel like I was in the smallest cult film for Bagdad Café, and I’m in the biggest cult film ever in Avatar. So I’m very, very thrilled that I got to participate. CE: Your resume is so impressive and extensive — what are some of your favorite roles and why? CCH: I’ve got several. Definitely Bagdad Café was, is still today my sentimental favorite because that was the film that changed other people’s lives. (Laughs) People are going to think I grew up in a convent; my sense of service is like, “Oh, I did something for other people.” Because I get thousands and thousands of letters and e-mail of when people saw Bagdad Café they decided to take a particular action. The sense of courage and bravery that those two women had in terms of dropping all their superstitions, their stereotypical ideas, dropping all of that away to create a friendship. I was shocked that it related to so many different areas for other people’s lives changed that. So that was really thrilling. And just in terms of performance, I think a very quiet performance of Booker T. Washington’s mother, I don’t know how long ago, still holds up to today in terms of when I look at it I don’t see myself anywhere. I just keep following along with the story of this quest for education. I thought that was really spectacular. In Prizzi’s Honor, I just loved the voice I used, Peaches. It’s no big mark in my life, but I just loved the fact that I get a tickle when I hear that voice. And Avatar has now obviously made its mark. CE: Who would you love to work with? CCH: Well, my super-idol is still Meryl Streep. She is consistently brilliant and consistently excellent. I guess I have kind of a more European way of thinking, the idea of when you do something well you praise people forever and you hold them up, as opposed to “Give me the next thing. Give me the next thing.” That’s my girl. I have worked with her before, but I’d love to do something on a different caliber. I was lucky enough to do Postcards From the Edge with her, but I think I’ve grown leaps and bound since then. I have a couple of things I still want to do. I’ve also got a film I’d love to do that just as Mr. Cameron said, “Well, we just couldn’t do it before because technology hasn’t caught up.” I have a very similar story that I want to tell that also came from a dream that I couldn’t do then, but I would love to do now. Technology has caught up with my dream.